The TL;DR of the video is that EA doesn't understand that people want to play different types of games, and that EA is letting their own desire to promote a steady stream of monetization (via loot boxes and other items) get in the way of what might be really good games. As examples, Falcon pointed to games such as God of War --and tons of Nintendo games-- that were linear in design with a definite ending yet were also extremely popular. The video was partially in reaction to yet another Star Wars game getting the axe after a lot of prepublication buzz, Visceral Games' untitled Star Wars game developed by Uncharted 1 through 3 Creative Director and writer Amy Henning. The idea that a linear, story based game wasn't going to "keep people coming back to it," paraphrasing EA EVP Patrick Söderlund, is what Falcon believed to be code for utilizing lootboxes and other monetization methods to keep milking the player base. And to be honest, I think he's pretty much dead on here. The concept that a story driven, linear game wouldn't have people replaying it have honestly never played the Uncharted series, the isometric RPGs of Bioware, and the aforementioned God of War or Nintendo games. But these days, it's all about the money, because the business world is attuned to maximizing quarterly profits. On the face of it, the desire from the major software houses to jack up the monetization by DLC and lootboxes (or even introducing mobile games which have tons of the "cash store" type of stuff) is amusing. After all, I do happen to know a class of video games that are pretty much tailor made for this sort of thing, and I'm betting you do too. MMOs, that subgenre which is no longer quite so hot these days, is pretty much tailor made to separate gamers from their money on a consistent basis. 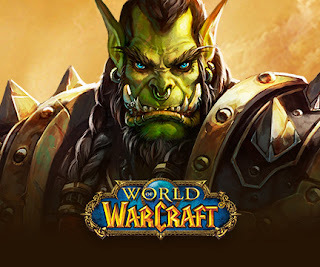 MMOs, that subgenre defined by World of Warcraft and their obsessive fans*, toxic world chat, and "the game begins at max level" ethos. MMOs, that subgenre that game studios are refusing to touch with a ten foot pole. As for the drawback of MMOs, it's the development costs involved. It is much easier to code the next iteration of Call of Duty rather than World of Warcraft. Because MMOs are so all encompassing, their development costs tend to skyrocket. 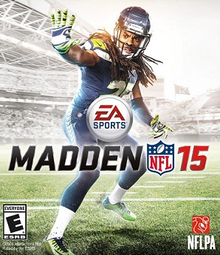 Not so much with the more narrowly defined yet highly profitable annual Madden release. Cheaper to make than Battle for Azeroth. to put a Steeler or a Patriot on the cover. This movement toward a more naked attempt minimize development and maximize costs is starting to remind me a bit of the lead-up to the Great Video Game Crash of the early 80s. Back then, in the interest of cashing in on the video game market, development houses rushed games to production that were cookie cutters in design, cheap to develop, and designed to maximize profit. The market was so flooded with games (and platforms) that people stopped buying new games, creating the push that started the avalanche. While the modern game industry has avoided a similar crash so far, there becomes a point of diminishing returns, particularly when gamers are going to be asked to buy new console platforms in the next couple of years. Eventually there comes a point where people say "okay, that's enough, I'm tired of the BS", and the industry suddenly has major issues. We're not there yet, but eventually a course correction will happen. People will eventually say --in large enough numbers-- that we're tired of the treadmill and we want something different. And immersive. And something we don't have to continuously pay money for. Nothing lasts forever, but it seems that the major development houses aren't paying attention to that credo while they're laser focused on the next quarter's results. *Full disclosure, I am one. I may not subscribe right now, but I do like the game. And besides, that comment was fully tongue-in-cheek, because MOBAs are even worse these days. **Yeah, it's actually "buy cheap and sell dear", but the point is to create a product as cheaply as possible and sell it as high as you can.